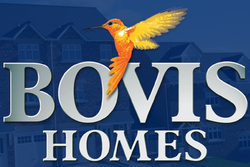 Founded in 1885, Bovis is now one of Britain’s leading housebuilders. Operating through five main regional offices it now supplies a wide range of homes across England and South Wales. Recently it was part of the huge P&O conglomerate but it was demerged as the conglomerate became unfashionable. Bovis Homes Group PLC today announces its half year results for the six months ended 30 June 2016.